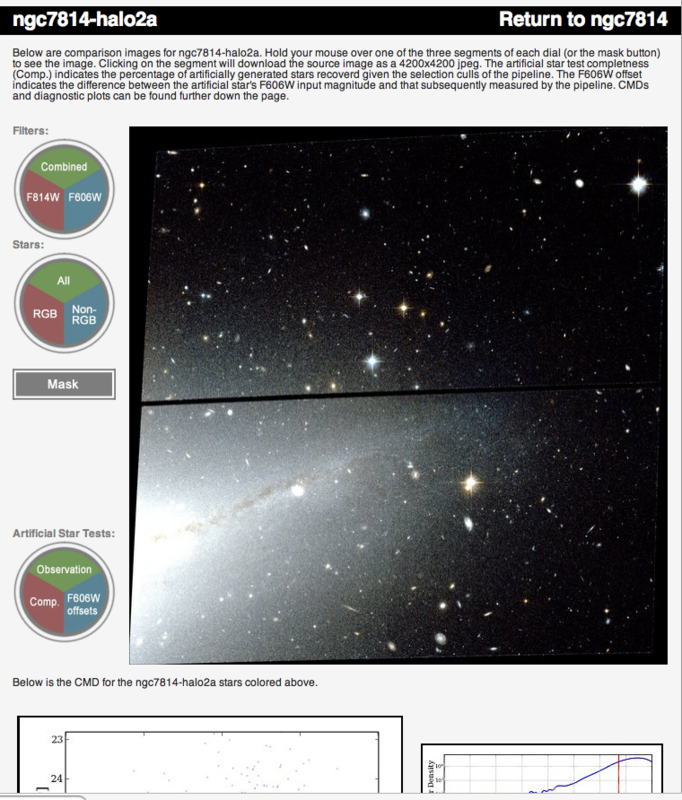 The Multimission Archive at STScI (MAST) Newsletter disseminates information to users of the HST, FUSE, GALEX, IUE, Copernicus, EUVE, HUT, UIT, WUPPE, HPOL, IMAPS, BEFS, TUES, VLA-FIRST, and XMM-OM data archives supported by MAST. Inquiries should be sent to archive@stsci.edu. 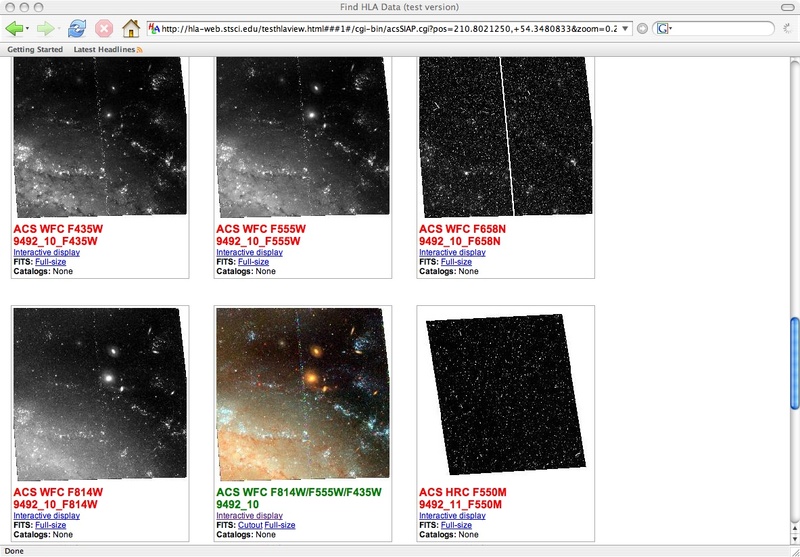 The Hubble Legacy Archive (HLA) is pleased to announce that Data Release 1 (DR1) was launched on February 8, 2008. The two primary goals for this release were: 1) to provide HST Cycle 17 (deadline March 7) proposers with a powerful new tool for supporting their efforts, 2) to provide access to a much larger fraction of HST data than was available for the Early Data Release in July 2007. The URL to access the HLA is: http://hla.stsci.edu. The reader is referred to the previous MAST newsletter for a general description of the the HLA. Briefly, the primary goal of the HLA is to optimize the science coming from the Hubble Space Telescope by providing better browsing capabilities and easy access to enhanced products. 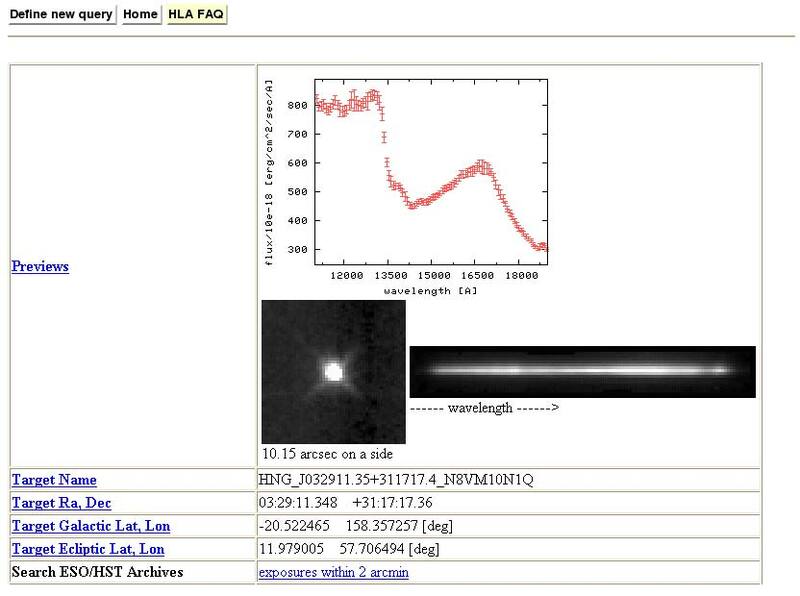 Another important goal of the project is to make HST data VO (Virtual Observatory) compatible. The project is a collaboration between the Space Telescope Science Institute (STScI), the Space Telescope European Coordinating Facility (ST-ECF) and the Canadian Astronomy Data Centre (CADC). The following table shows a breakdown of the available data products. Beta products are being validated and are not currently recommended for scientific analysis. DADS downloads require a request to the DADS system. Ability to "filter" a sample of datasets after the initial search using attributes of any of the columns in the inventory view. Examples are searches by proposal ID, PI, instrument and detectors. Inclusion of information from the MAST previews, including proposal abstracts, resulting publications, and the previews images and spectra themselves (in groupings of up to 100 at a time) . RA and DEC of the mouse position in the footprints and interactive display. Wavelengths are available in the interactive display for spectra. Line (or column) cut capability in the interactive display. This is especially useful for taking a quick look at spectra. A few introductory training movies which are useful for getting started with the HLA. 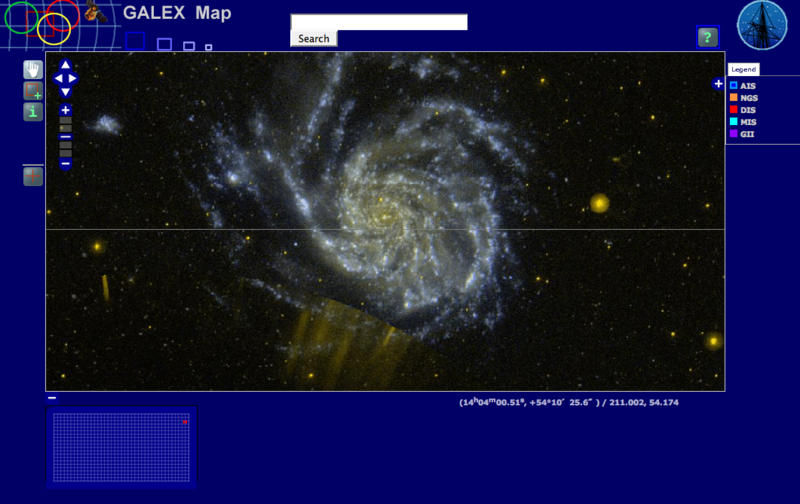 Display view of some M101 images. (up to 100) GHRS MAST previews at one time. "darken" feature to increase the contrast. color image of SN 1987A. As part of this release, ST-ECF has increased their sample of NICMOS grism extractions from about 10 % available for the Early Data Release to about 80 % for DR1. Please see the article http://hla.stecf.org/archive/hla/. 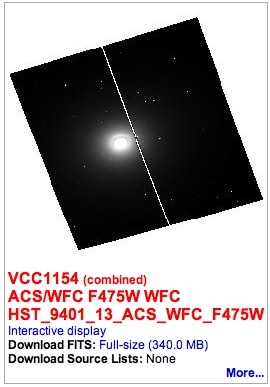 In addition, CADC is providing WFPC2 combined images (currently in a Beta prototype stage). and developing a "shopping cart" facility. As always, we would appreciate your feedback by sending a quick e-mail with any problems or suggestions. If you are interested in receiving updates and news about the Hubble Legacy Archive please use the "subscribe to news" feature at the bottom of the HLA pages. 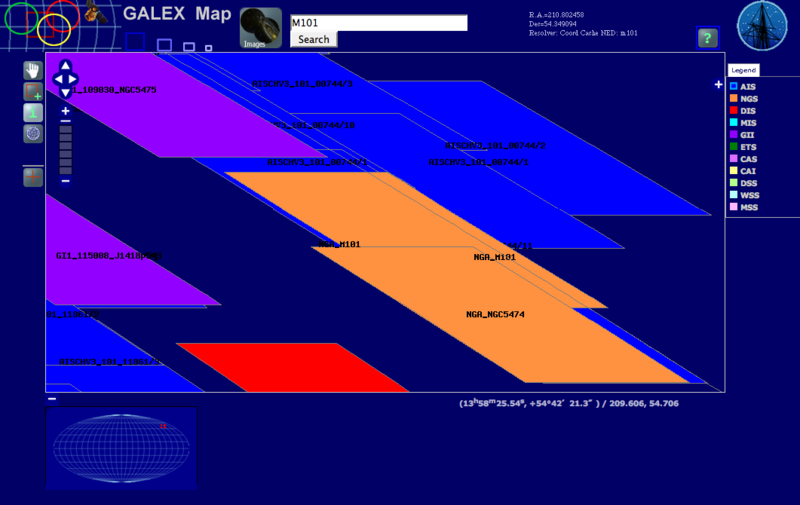 MAST is pleased to announce the development of the "GALEX Map," which was released October 31, 2007. This sky browsing and data downloading tool is organized by sky tiles (1.2x1.2 square degrees) and survey type. The Map was developed to allow users, to browsing across visible tiles and sky images and to assess at a glance which data are available in the General Release archives at MAST. It also serves as an entry point for downloading GALEX archive data organized by tiles. The Map operates in either or both of two browser planes: The 'Tile Plane' and the 'Image Plane'. The user is first presented with a full sky view in the Tile Plane, which is a Mollweide projection of tiles colorized according to the GALEX survey. See Figure 1 of the full sky image. (Click on the image to see full size figure). From within the Tile Plane, the user can zoom deeper into a particular region of the sky by defining a custom zoom box. Zooming one level at a time can also be accomplished by clicking directly on the image or in the zoom indicator tool to the left. Once the zoom level has reached the deepest level, tile identifiers become visible. See Figure 2 of zoomed in tiles with labels now visible. The various survey tiles may be turned on or off instantly by clicking on color-based survey buttons to the right in the Tile Plane. The surveys includes the "GII survey," which is newly delivered data originally obtained for various GI programs. The user can also view the accompanying images of the currently displayed tiles by selecting the Images' button (top center) in the Tile Plane. A second browser frame is launched containing images stitched together in a Mercator projection mosaic of the sky. (See Figure 3 of the image plane). The image plane starts at zoom level 6. From here the user can pan and zoom deeper into the sky using the pan and zoom tools in the left tool bar. Clicking on the Information icon and then a tile of interest is also another way to download tile data quickly. Other navigational aids allow users to roam quickly across the sky and to specific regions. The 'full sky view' in the lower left allows the user to select a particular position in the sky and instantly navigate to that position. A search box in the upper center allows the user to navigate directly to a position or NED defined target in the sky. Coordinate readouts at cursor position provide cues to prevent the user from getting lost in the sky. Tooltips and a help page are also available. Future additions to the Map will include the tagging of objects by NED-recognized or "IAU" name. This function will therefore serve the useful purpose of showing which visible objects are in the GALEX object lists. In addition, the tagging will provide information like object magnitudes and exposure times. We are contemplating MAP upgrades that include the overplotting of images/cut-outs from other missions and surveys. Comments are welcome. As its Christmas present, MAST received from the GALEX project, The Medium Imaging Survey (MIS) data as the first delivery of GALEX Release 4 (GR4). The MIS data was followed quickly by deliveries of data for the Deep, Nearby Galaxy, and calibration surveys (DIS, NGS, CAI) in January. The table below shows the tile count for each survey and release. The MIS and NGS data are available now. 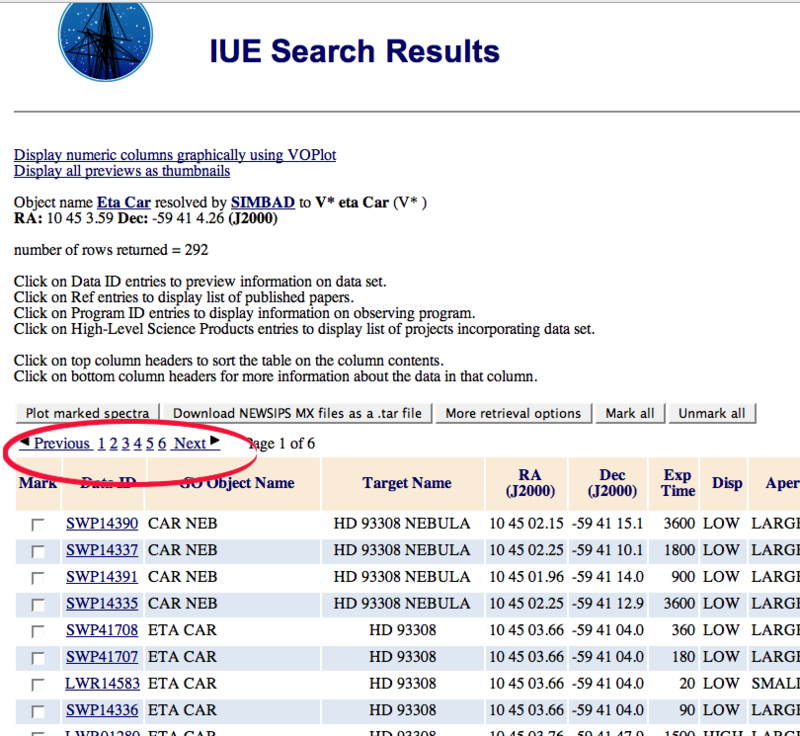 The DIS, CAI, and GII data should be available soon. Check the news release on the GALEX entry page. 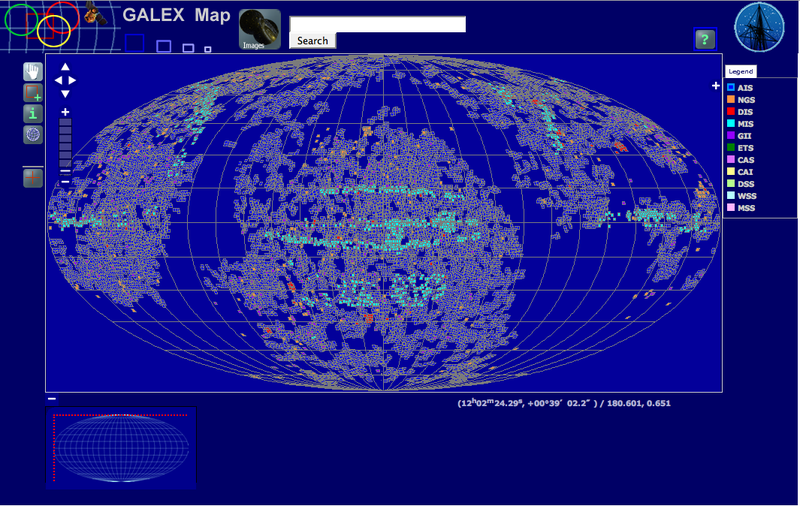 The large All Sky survey (AIS) should become available by early March 2008, with the grism survey of about 100 tiles to follow about a month later. GR4 contains 50% or more tiles than GR2/GR3 and perhaps double the volume. A qualitative change from the earlier releases is that coadded data will now be available for the AIS release. The GR4 page will become the default entry point with the addition of the AIS. 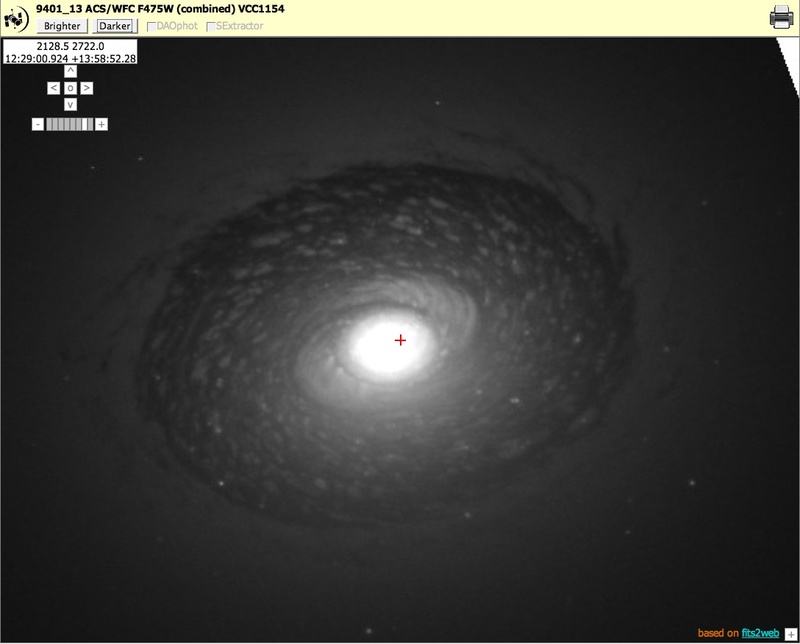 Over the past years, the Java application StarView has been largely replaced by the web interface as the HST astronomical database browser and research analysis tool. Therefore, StarView has been in "rusty rail" mode, and has not been maintained for over four years; development, test and deployment environments no longer exist. While the application has continued to be used at a low rate for the past year (approximately 2% of the database searches and requests) no resources for support are available for further full support. A database upgrade, scheduled for March 10, 2008, will break the current version of the StarView application. StarView is also a component of APT and is used by some for Phase II planning, so a quick fix will be made so that StarView can function at the level required for APT. APT is planning changes that will replace the StarView functionality with a new interface, removing the StarView dependency during the next year. 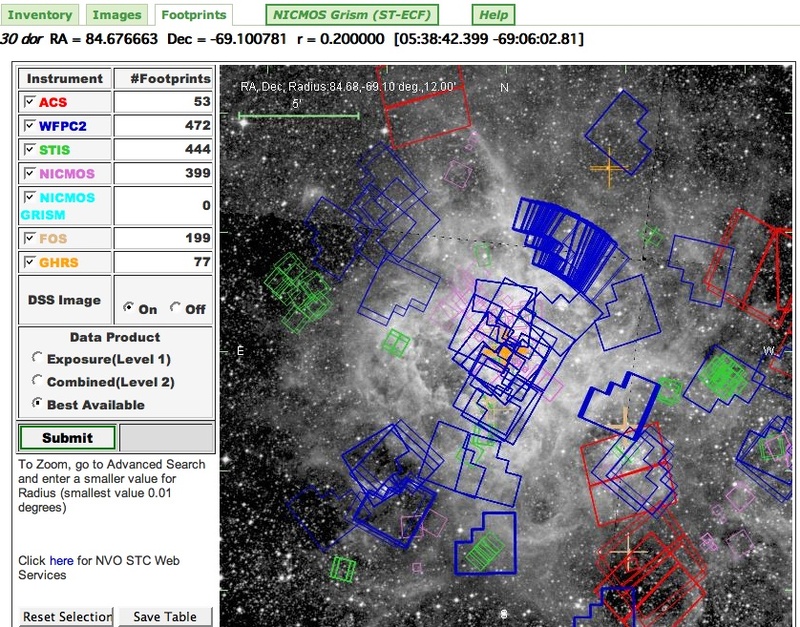 Over the next few months, the web interface will be upgraded to include views into the instrument tables and to provide some of the functionality that StarView provides and the web currently does not. The web development team would appreciate input from StarView users about the specific database columns, keywords, and searches and functions that you would like to see added to the web interface. Please send suggestions concerning searches/capabilities/functions that you would like to see in the web interface to the archive help desk at archive@stsci.edu or to the suggestion box. Be sure to include contact information so that we can respond and clarify question we might have. If you need to use a StarView function that is not yet available on the web, please contact the archive hot seat. Search results can be sorted on any of the displayed output columns by clicking on the column headings at the top of the search results table. A downward pointed arrow will be displayed in the sorted column heading indicating results are in ascending order. Clicking the column heading a second time will display an upward pointing arrow indicating results are sorted in descending order. The sorting can be performed on any numerical or alphanumeric fields. However please note that exponents are currently ignored when sorting columns using exponential notation, and declination signs seem to be ignored. Users who wish to sort on columns with this type of data should continue to specify the column to be sorted, on the search form before executing the search. The sorting is performed on all the returned results and the execution time scales with the number of resulting rows and the cpu of the users computer. In a recent test, a 5,000 row search result took about 7 seconds to sort by exposure time using a MacBook Pro. Clicking on the column headings at the BOTTOM of each page (or clicking the "columns help" link at the top of the page) will display help information about the search results page as before. Search results returning more than the specified number of "records per page" (50 by default) will now be displayed on multiple pages (up to the maximum records value, 1001 by default) with links to the pages displayed at the top of each search results page. Pages can be viewed sequentially by clicking the "Next" or "Previous" links or directly by clicking the page number link. The displayed page number is also shown. Both the rows per page (up to 500) and the total number of rows returned (up to 15,001) can be specified on the search forms. Note the "records per page" value is ignored for non-HTML output formats. We have changed the appearance of the results pages by using striping - displaying the rows in alternating colors of white and pale blue. This helps distinguish table entries without adding borders. Also, since we now offer paging, we only display the column headings at the top and bottom of each page rather than every 10 rows as before so more rows are displayed in the browser window. A new version of the Archive Manual is available on-line. The manual is no longer HST specific and much of the material is applicable to all MAST Missions. Click on the Archive Manual link on the MAST home page to view the Table of Contents and the manual. The following are some of the topics that have been added or extensively enhanced that should benefit manual users. Introductory information has been generalized and consolidated into one section. An acronym list was added. The MAST section has been substantially expanded. The following are some of the tools and services describe in the section. A section on GALEX has been added that contains information on searching, viewing and retrieving GALEX data. In addition, general information on GALEX and the different surveys is included, along with details about file names, object names and header keyword definitions. The Starview sections have been condensed into a single section. The information in the chapter is for the current JAVA version of Starview. Certain HST specific items have been moved to a separate section. These include search strategies for HST data, discussions of ASCII catalogs and HST data quality. This last item includes discussions of PDQ and Observation Log files. Information on how to locate and retrieve the HST ephemeris was added to this section. Questions on and suggestions for the Archive Manual should be sent to the MAST suggestion box or to the archive helpdesk. The FUSE Magellanic Clouds Legacy Project provides a quick look capability for scientists interested in the stellar and interstellar characteristics of the Magellanic Clouds, as discernible from the high resolution far ultraviolet spectral data obtained with the Far Ultraviolet Spectroscopic Explorer (FUSE) satellite. The FUSE Magellanic Clouds team reprocessed nearly 500 FUSE stellar data sets on nearly 300 separate sight lines to prepare the data. The team and MAST staff members developed a new web interface making these data available for quick look assessments in a standardized format. Any targets with multiple observations have already been aligned and summed for the user, providing the best S/N data for each sight line. Data for numerous ISM lines are shown on an aligned velocity scale for each target. Also, overviews of both the O VI spectral region (1028 - 1042 A) and the entire FUSE spectral range (binned) are shown as well. In addition to the FUSE data, optical and IR context images of the 20 arcmin region centered on each sight line are also provided for each target. This allows the user to correlate the ISM lines with the gaseous and dust components on the sight line with convenient "one stop shopping." The site provides MC researchers with a convenient way to inspect this large data set, finding the subset of FUSE data that are of most interest to their particular science program. The relevant data sets can then be downloaded via the normal MAST interface. The FUSE MC Legacy Project site is available at: http://archive.stsci.edu/prepds/fuse_mc/. 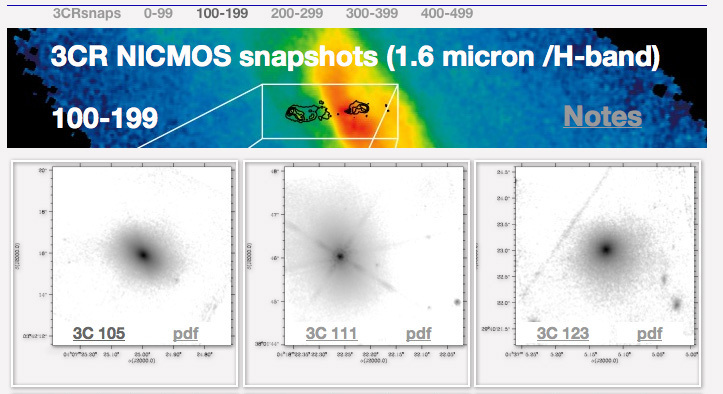 David Floyd and Juan Madrid present reduced NICMOS2 F160W (H-band) images of 87 3CR radio galaxies. The data represent 87% of the 3CR sample at z<0.3. The images have been corrected for the "pedestal effect" and dithered using Multidrizzle. In addition to the FITS file, a PDF and JPEG file showing a greyscaled image of each source on a J200.0 coordinate grid, aligned to show north up are also presented. Brief notes are present for each object. The 3CR Radio Galaxies website is at: http://archive.stsci.edu/prepds/3cr. The Galaxy Halos, Outer disks, Substructure, Thick disks and Star clusters (GHOSTS) survey (P.I. 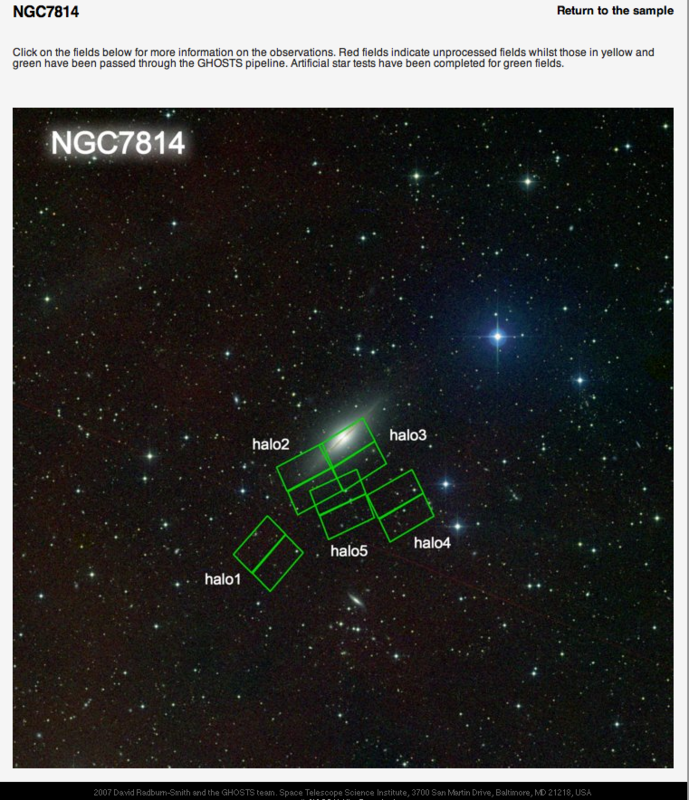 Roelof de Jong, Space Telescope Science Institute) is providing definitive HST analysis of extra-planar stellar populations of nearby disk galaxies. MAST is hosting the GHOSTS Team website and will eventually host the data that have been processed through the GHOSTS pipeline. The Survey section of the website already contains very useful data and previews. 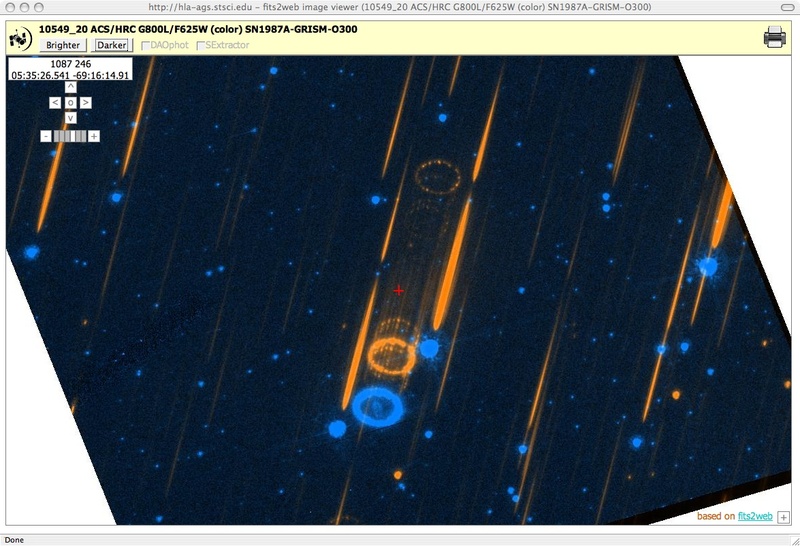 The GHOSTS website is at: http://archive.stsci.edu/prepds/ghosts. The user clicks on footprint to get to the in depth view of the data (as seen to the right). 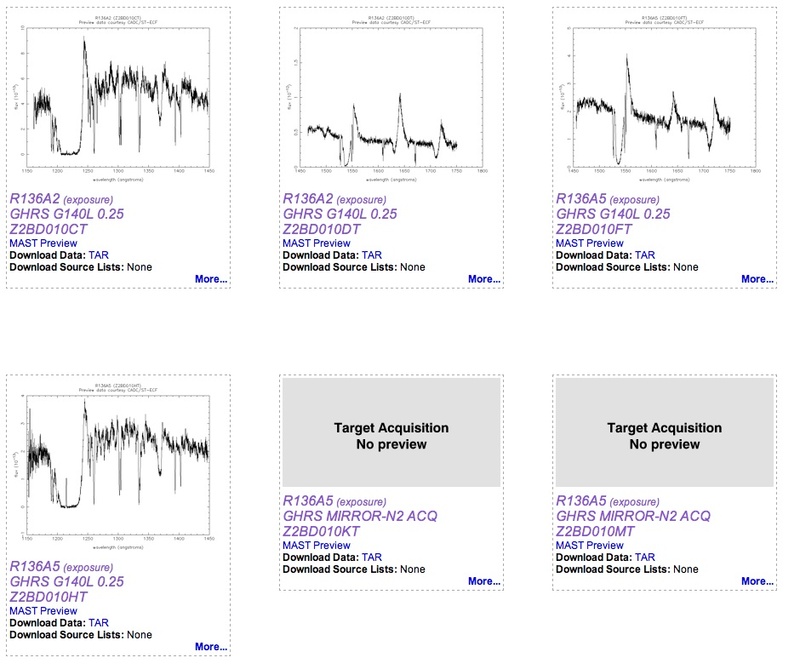 Detailed view of the data including comparison images, artificial star test completeness, CMDs and diagnostic plots. Changes to the "Quick Search" form on the main MAST page. Several corrections/improvements were made to the "quick search" form shown on the main MAST page. For HST instruments, the previous version incorrectly returned both images and spectra regardless of which boxes were checked. Now the modes are treated separately. 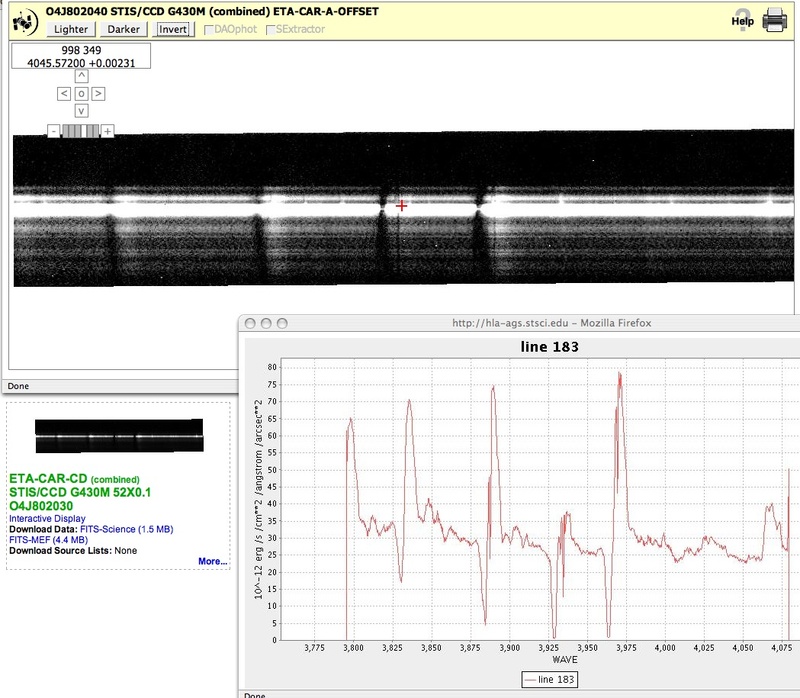 The strings "-IMAGE" and "-SPECTRUM" are appended to the instrument names in the search results to distinguish images and spectra from the same instrument. Searches on "OTHER" are limited to WUPPE, HPOL, HSP and FGS. (The previous version returned FOS, FOC, WFPC, WFPC2, ACS, and NICMOS entries as well). Search results are listed alphabetically by instrument name, so results from instruments returning both images and spectra are listed sequentially. 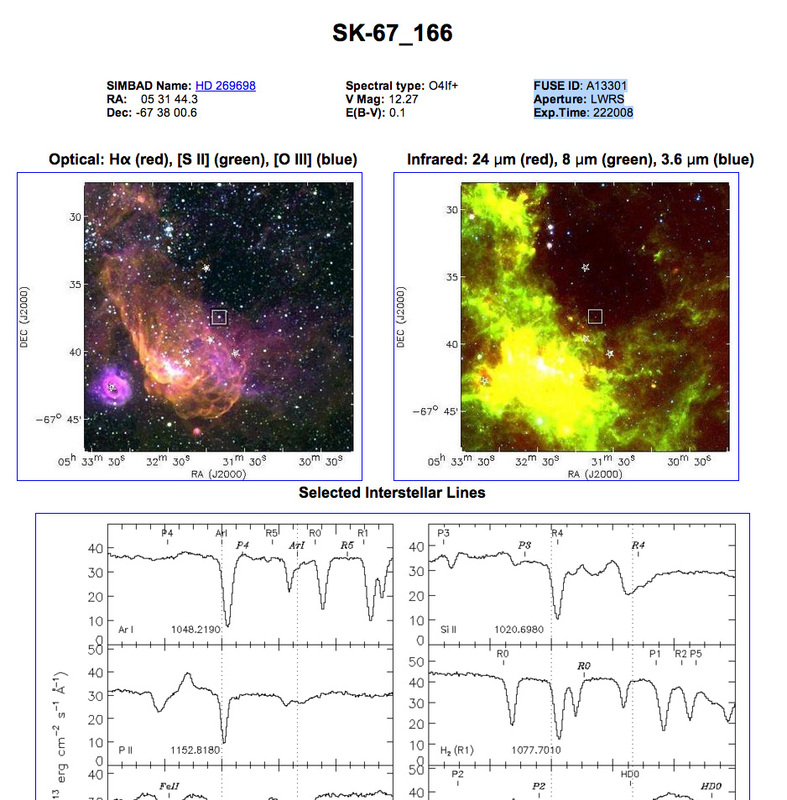 Links to the HST search form now include the instrument name and type of observation (i.e., spectrum or image) in the url rather than just the specified coordinates. The user still has the option of editing these parameters before submitting a new search request. GALEX links now point to the GALEX search form (rather than returning previous results in VOTable format). A few users have expressed confusion over the duality of search modes on the MAST/GALEX web site: object/coordinates source catalog (metadata) searches or tile survey data (the fits files) searches. Although the Hubble Legacy Archive is now starting to include catalogs in the interface, other MAST missions do not have catalogs to search, thereby adding to some unfamiliarity for users accustomed to searching data alone in the mission search pages. To address this issue, we are now designing a new search page. After search criteria are entered for a target, search results will permit simultaneous display of the image and information about the tile, any spectra, and associated catalog data. GIs for the upcoming GALEX Cycle 5 should stay tuned for this improved search page in the next couple of months. Malhotra et.al. will be releasing a set of ACS grism extractions resulting from their HST Cycle 14 proposal 10530: Probing Evolution and Reionization Spectroscopically (PEARS). The data are from the Hubble Deep Field North field and the Chandra Deep Field South field. Check the "Whats New" section of the main MAST Web page for notification of the release. How Can MAST Improve and Expand to Serve You Better? MAST is continually looking for ways to help you find the data you want and we would really like to hear your ideas. 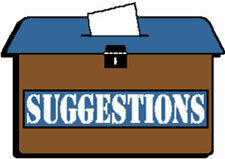 We have provided a "suggestion box" at http://archive.stsci.edu/suggestions.html and encourage you to post suggestions, comments and concerns through this interface. A link to the suggestion box is found on the second line of the top menu on most MAST web pages. Some past users have allowed us to post their suggestions. Those suggestions and the MAST responses can be found at http://archive.stsci.edu/suggestion_response.html. If you would like remove yourself from the mailing list send mail to archive_news-request@stsci.edu and put the single word unsubscribe in the BODY of the message. Information on the subject line will be ignored. If you would like to subscribe to the mailing list to receive notification of future Archive Newsletters, send mail to archive_news-request@stsci.edu and put the single word subscribe in the BODY of the message. Information on the subject line will be ignored. You will be asked to confirm the subscription.